May 19, 2018 (Washington, DC) - Clements is sponsoring runners in the Susan G. Komen Race for the Cure 5k in Rome. We've collaborated with our partners in Italy, Vittoria Assicurazioni to put together a team of 40 runners. We will also be hosting a BBQ at the American Embassy for staff and families. Clements Worldwide, a leading provider of international insurance solutions, produces the Clements Worldwide Risk Index once a year in an effort to gather top concerns from both our clients and like-minded international organizations on the topic of global risk. This information provides a barometer for risk managers to validate current thinking on institutional risk, including top concerns, categories of loss, and levels of preparation for different risk types. The 5th edition of the Clements Worldwide Risk Index launched April 19, 2018. The results indicate that there is an increase in risks associated with management liability losses and a shifting political environment. March 1, 2018 (Washington, DC) - Clements Worldwide, a leading provider of international insurance since 1947, commenced its 10th-anniversary edition of the Expat Youth Scholarship (EYS) today, which awards a combined scholarship prize of USD 10,000 to six expatriate students from ages 13 to 21 years old. This program, which has awarded scholarships to the youth expat community since 2009, will reach USD 100,000 awarded to young scholars to complete their educational goals this year. Community Liaison Officers play a critical role in supporting our diplomats and their families as they move from post-to-post creating goodwill and protecting America’s interests. For our 70th anniversary, we decided to honor an additional 6 Community Liaison Officers from each geographic bureau with a special gift. The Expat Youth Scholarship (EYS) program is designed exclusively for students aged 13 to 21 experiencing life in foreign countries amidst unfamiliar cultures. The contest is a testament to Clements' ongoing commitment to the international expatriate community. $10,000.00 (USD) in scholarship funds are awarded to the winners of the program. They are tasked with submitting photos and essay to detail how they plan to change the world through their experiences as expats. Learn more about the history of the Expat Youth Scholarship. Congratulations to the winners and a huge thank you to everyone who participated. 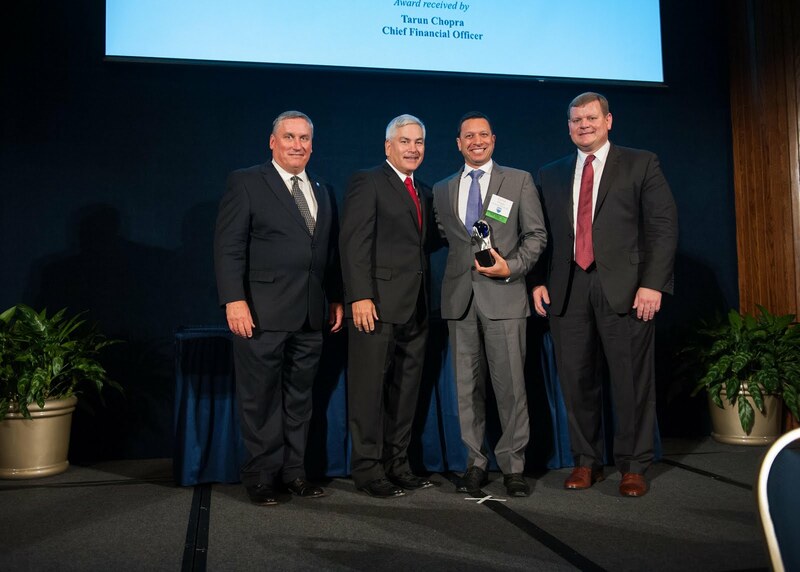 Tarun Chopra, our Senior Vice President and CFO, along side Howie Lind, President of ISOA, General John F. Campbell, and Gerald Goss, Chairman of the ISOA Board of Directors, accepted the International Stability Operations Association Vanguard Award on behalf of Clements Worldwide. We are thrilled to have achieved this recognition.